Solve system problems faster . 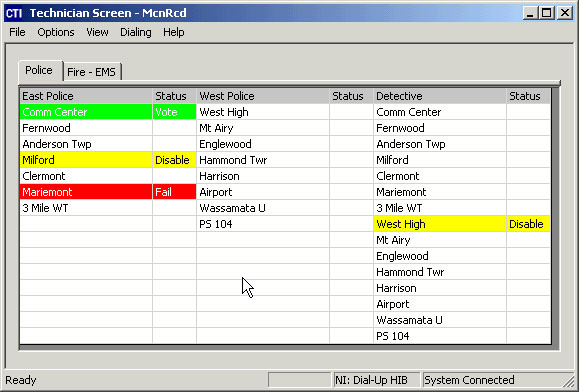 . .
At a glance, a dispatcher or technician can determine status for any receiver in the system, or site equipment I/O. A noisy receiver can be remotely disabled, quickly allowing a system to function until maintenance can be performed. MCN Systems are custom engineered to provide real-time monitoring and control of most comparators and voters, as well as for other site equipment such as doors, generators,and alarms. 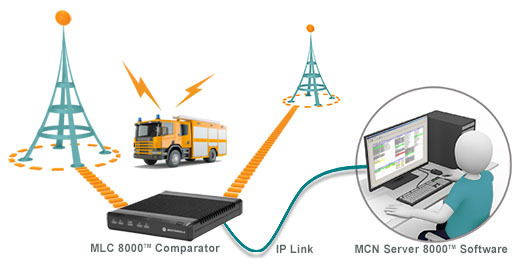 Using MCN RCD™ software, comparators and site equipment status for multiple sites can be monitored and controlled from the same screen. A variety of hardware and software modules makes it possible to fill any need and budget. Click on a link on the right to learn more about MCN Systems.